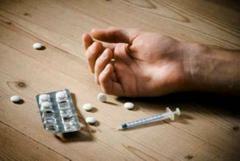 Do you or somebody that you know have a drug abuse problem? Please read. •	On October 26th, a 53 year-old Shorewood woman was found dead in her apartment on the 1700 block of E. Capitol Drive. The suspected cause of death; accidental heroin overdose. •	On November 16th, a 23 year-old Shorewood man was found dead in his home on the 3800 block of N. Bartlett St. The suspected cause of death; accidental overdose of prescription medications. •	On November 19th, a 30 year-old Shorewood woman was found dead in her apartment on the 2100 block of E. Capitol Drive. The suspected cause of death; accidental heroin overdose. •	On December 4th, a 23 year-old Shorewood man was found dead in his apartment on the 3800 block of N. Maryland Ave. The suspected cause of death; accidental overdose of prescription medications. •	On December 19th, a 23 year-old Shorewood man was found unresponsive in his home on the 2400 block of E. Menlo Blvd. He was revived by the North Shore Fire Department after receiving an injection of Naloxone. (Commonly known as Narcan.) This drug is used to counter the effects of opioid overdose, such as heroin or morphine. Deaths from drug overdose have been rising steadily over the past two decades and have become the leading cause of injury death in the United States. Every day in the United States, 114 people die as a result of drug overdose and another 6,748 are treated in emergency departments (ED) for the misuse or abuse of drugs. According to Wisconsin Department of Health Services statistics, someone in Wisconsin dies from an overdose of prescription medication every 29 hours and from a heroin overdose every 44 hours. The Shorewood Police Department takes this problem seriously and investigates drug related deaths seeking to prosecute those who provided the drugs for reckless homicide. This law is more commonly known as the “Len Bias” law. But as you can see, even Shorewood has a heavy caseload for two detectives. We can’t arrest our way out of this drug problem. Friends and family members need to get involved. This is about saving lives; not about putting people in prison. If you suspect a family member, loved one, or friend of using, you need to get involved before it’s too late. Don’t wait until the problem is out of control and another life is wasted. Here is a Q and A which can help you become involved. 1. How Can I Tell If I’m Overreacting to a Substance Abuse Problem? Continuing to use substances in spite of the fact that such behavior is causing problems is a problem in and of itself; it shows that substance use has become more important than the problems it causes. * Read about the signs and symptoms of substance use. * Contact a substance abuse professional, mental health professional, physician, employee assistance professional, guidance counselor, clergy or other helping professional to help you. Describe your family member’s substance use pattern to see whether the professional would deem it a problem. Provide details such as the type of alcohol or other drugs, how much the person is using, how often, how long the pattern has continued, negative consequences and the person’s response to discussions or confrontations about substance use. * Ensure that you and other family members are safe from potential physical or emotional harm. If there is a threat or feat of physical violence you should develop a safety plan. Movies, books and magazines often portray people who “hit bottom” before they can be helped. However, this representation is a myth. People do not need to bottom out to be helped. Research shows that early identification of the problem is a much more effective solution for substance use problems. Early identification occurs at the first signs of a problem — before anyone has suffered a traumatic event, dropped out of school or lost important relationships, jobs, their health or self-respect. Identification can be done through a screening by a health care professional, employee assistance professional or even a family member. What happens after the screening depends on the results of the test. Some people can learn to cut back, while some need further assessment and possibly treatment. In general, though, all people are better equipped to work on recovery if their substance use problem is discovered and confronted early. Treatment in the early stages of a substance use disorder is likely to be less intense, less disruptive and cause less anxiety. Waiting for people to ask for help is a risky strategy. Without help, family members can expect crises like arrests, medical emergencies, job loss, public embarrassment and even death. Also, as untreated problems continue, family members develop their own issues. Partners of people who have substance use problems can suffer greatly. Common symptoms include headaches, backaches, digestive problems, depression, anxiety and panic attacks. Children of substance users can experience school behavior problems and poor academic performance and are more likely to become substance users themselves. It is not easy to live with someone who is using mind-altering substances. Taking steps to begin treatment and recovery can be a painful process, but it is the only path that holds promise for something better. As long as family members deny that there is a problem, the problem will progress and so will the suffering. Start by getting help for yourself. Restore your own emotional stability and bring new direction and meaning to your life. You will be better equipped to deflect crises and arguments, and shift interactions with your impaired friend or family member. Getting help for yourself may seem counter-intuitive, but is crucial so you can better cope with the myriad problems that emerge and effectively overcome the obstacles to wellness and recovery. Some people find when they seek help for themselves that the person with the substance use problem gets angry, perhaps because the efforts represent a loss of control. Also, getting help signals that you are serious about changing the situation. Some people threaten those seeking help to stop their efforts. Remain firm in your resolve to go forward, and be aware of your personal safety. It’s never too soon for you or for the substance user to seek help. 3. How Can I Bring Up the Subject with the Substance User? Will the Discussion Make the Situation Worse? People often worry that initiating a discussion with the person with the problem will lead him or her to take drastic steps. They might make a scene in front of other family members, move out of the house, drop out of school, secretly drink or use other drugs even more and hide it from everyone or retaliate against them or other family members. However, you might find the conversation to be a wonderfully productive experience. Perhaps the person simply hasn’t noticed behavior changes, or doesn’t realize that his or her substance use was a problem or was causing problems. And, without change, the problems may become so severe that the same drastic outcomes could result. * Don’t bring up the subject when the person is under the influence of alcohol or other drugs. When people are high, they are less able to understand logic and are more likely to be impatient, dismissive, angry and blaming. Some people have poor impulse control and may act irrationally or violently if the subject is brought up while he or she is under the influence. * Don’t be under the influence of substances yourself. * Establish a time to talk when the two of you can have more than a few minutes alone. Your goal is to have a dialogue — a two-way conversation in which you can state your concerns and understand the person’s perception of the situation. Ask if you can set a time to speak in the next few days to discuss something on your mind. If the person responds by saying, “Now is fine,” tell them you’d prefer to set time aside and not be interrupted. * When you meet, tell your family member that you care for him or her. Emphasize that it’s this concern for their well-being that has led you to have this conversation. * List the behaviors you’ve observed, state that you are worried about the effect drinking or drug use is having and express concern about continued use. * Create a two-way dialogue so the person doesn’t feel lectured or badgered. Use open-ended questions. * If the person states that there is definitely not a problem, ask to talk again at some point in the future. Your goal is not to convince the person that there is a problem, but to let them know that you believe there is one and that your belief is based on observable behaviors. * Don’t try to speculate, explore motives or judge. It can sidetrack you from the main point. * Don’t expect a dramatic shift in thinking or behavior right away; this conversation may be the first time the person has thought about this problem. * Keep in mind that there is no quick fix – prepare yourself for the long haul. If the problem has only occurred over a short period of time, or has not reached a severe stage, it is possible that the adult you care about could successfully cut back on the use of alcohol or other drugs. If the person has not tried cutting back, you could suggest this strategy as a first step. Some people in the risky or abuse stages of substance use, or even in the early stage of addiction, are able to cut back and consistently use only minimal amounts in the future. You may find, though — as many do — that people who can cut back are the exception, not the rule. Many people try to cut down and discover that they can’t. Or, they can only cut back for a few days or a few weeks before resuming heavy or excessive use. Trying to cut down and failing may help the person realize that the problem is more extensive than once thought. Although you probably want the substance use to stop as soon as possible, immediate abstinence from certain drugs has risks, including withdrawal symptoms with serious medical consequences. Many people need to be admitted to a detoxification center to help them physically withdraw. To encourage the person to stop, you might want to tell them ways you would be willing to help make it easier – for example, going to counseling together, or providing transportation or childcare. Friends and family members may feel that they constantly express concerns about a loved one’s substance use but never see any changes. You may have reached this point after weeks or months of giving lectures, making threats, ignoring behaviors, accepting promises of change, giving second chances or imposing consequences. Experts recommend developing and repeating a consistent, positive message: “We care about you and we want you to get help.” Define substance use as a problem for you and others who care about the person. Avoid blaming, arguing and reproaching; and expect denial, distortion, avoidance, rationalization and intellectualization of the problem. Perhaps a friend, another family member, doctor, clergy, boss, co-worker or other significant person might be able to have an effective discussion. * Don’t try to talk when either one of you is under the influence. * Do protect yourself and others around you from physical harm. * Do call police if there is violence. * Do set limits that will protect your home, finances and relationships, and stick to those limits. Treatment addresses the individual’s physical, psychological, emotional and social conditions. Sustained reduction in alcohol or other drug use and sustained increases in personal health and social function are the primary goals. The type of treatment is based on the severity of the problem. For risky users, treatment can be as simple as a screening and a brief intervention. For people exhibiting signs of dependence or addiction, a screening will probably lead to a referral for more intense level of care. Formal treatment takes many forms, and no one type of treatment is best for everyone. There are many roads to recovery. You may think that you need to choose just the right program for your family member and if you don’t, treatment will fail. But experts believe that any of a number of programs can lead to success – if the person is willing to accept help from others and invest energy in working on recovery. A physician or another health care professional can also help you choose where someone should go for treatment. Does your friend or loved one have any of the following symptoms? If so, call 911 immediately. * Lost consciousness after taking drugs. * Became unconscious after drinking alcohol, especially if five or more drinks were consumed in a short period of time. * Had been drinking or using drugs and is seriously considering suicide. * Has a history of heavy drinking or drug use and has severe withdrawal symptoms, such as confusion and severe trembling. Severe withdrawal symptoms, such as delirium tremens (DTs), can cause death. If you are a true friend or truly love someone who you suspect of substance abuse, you will take action before that someone becomes nothing more than another tragic statistic. Act now.